First sod turned at the new United States embassy at Ballsbridge, Dublin. 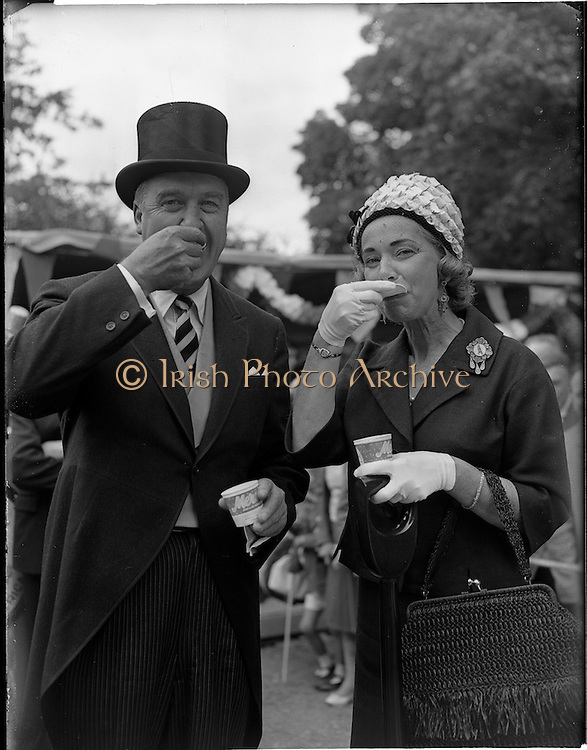 Image shows American Ambassador to Ireland, Mr. Grant Stockdale and Mrs Alice Boyd Stockdale enjoying ice cream after the event. The embassy was expected to cost 1,000,000 dollars and take two years to build.